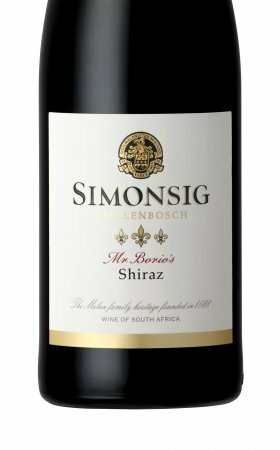 The legacy of Alessandro Borio lives on at Simonsig Estate with the release of the new Mr.Borio’s Shiraz 2011 vintage. This richly layered wine pays homage to the intrepid Italian prisoner of war, Alessandro Borio, who stayed on after World War II to make South Africa his home. The Mr.Borio’s Shiraz 2011 allures with a rich berry bouquet, encrusted in black fruit with a hint of vanilla pod. The feast of flavours comes with a touch of sweet spice which melds with subtle yet remarkable oak notes while the tamed tannins aptly capture the character of Mr.Borio, with the promise of excellent ageing potential. This full-bodied red is a meat lover’s dream as it pairs beautifully with cottage or venison pie and is equally enjoyable during laidback gatherings with friends while preparing ribs on the grill. Tasty ham or bacon stuffed mushrooms and monkeygland burgers also complement this wine exceptionally well. Mr.Borio’s Shiraz 2011 is available at selected wine outlets countrywide and sells for R70 at the cellar door.